Head for the slopes with your gear secured to our your Thule roof rack 7326 Snow Pack ski and snowboard carrier from Just for Jeeps. 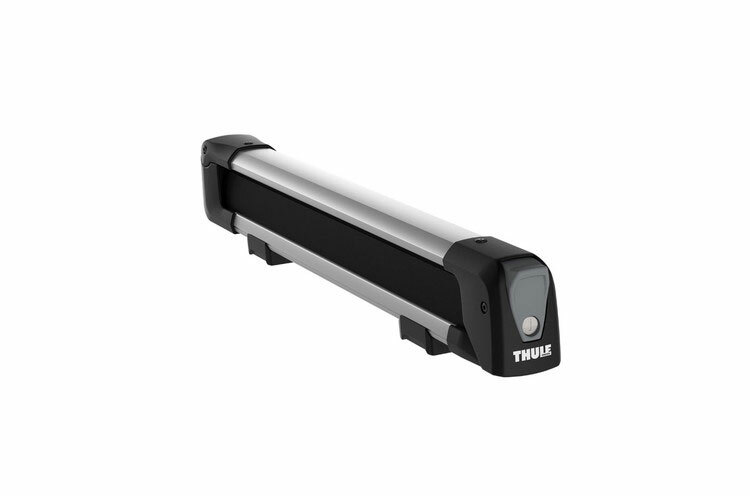 The Thule Snow Pack 7326 snowboard and ski rack is compatible with all Jeeps made in 1997 through 2018. It mounts to your Thule rack system, round bars and most other factory roof racks on Jeeps. The Thule snow Pack holds up to six pairs of skis or four snowboards. Please note that the 7326 replaces the Mopar TCS92725 and the 92725 universal flat top fully locking ski and snowboard carrier. 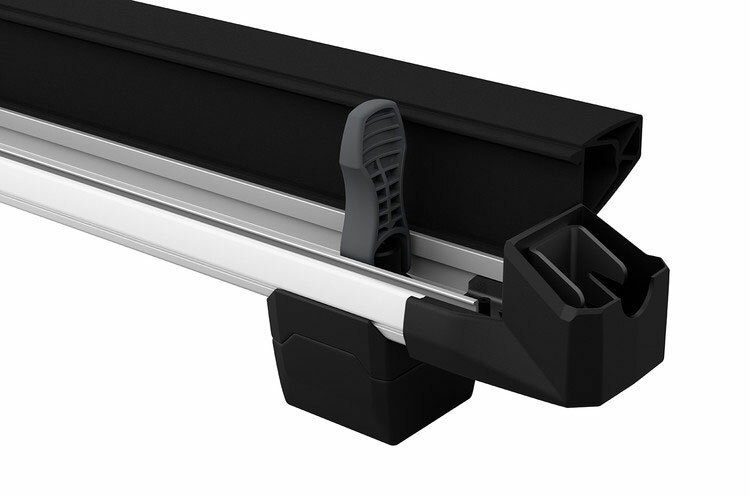 Your snowboard carrier and ski rack comes with two one-key locks to secure your gear to the carrier and the carrier to your Jeep. Soft rubber arms firmly grip the skis and boards while avoiding surface scratches. One over-sized push button means you can open and close the carrier while wearing bulky ski gloves. 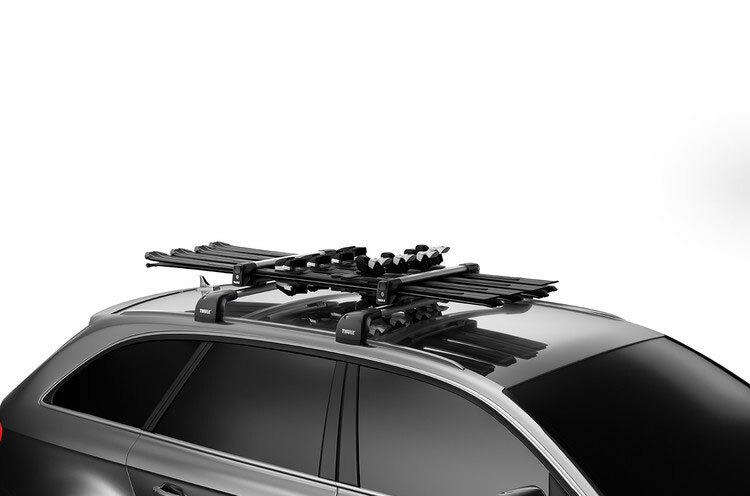 The Thule ski and snowboard carrier fits Thule AeroBlade and SquareBar rack systems, as well as round bars and most factory roof racks. However, this carrier will not fit Mopar sport utility bars for the 06-10 XK Jeep Commander. Keep the locks that come with this carrier in good shape by periodically applying graphite or a dry lubricant. And remember: they're a deterrent but not theft-proof. We recommend that you remove and safeguard all valuable gear if your Jeep is left unattended for extended periods of time. Shop JustforJeeps.com for all your Jeep needs, whether you need sport-specific roof rack carriers or interior accessories designed to protect the cargo space inside your Jeep. We have discount prices on OEM replacement parts, too. Free economy shipping is available for qualifying orders. Does not fit Mopar Sport Utility Bars for the 06-10 XK Commander.